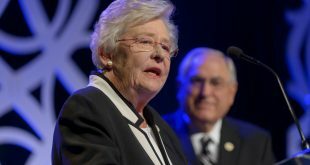 MONTGOMERY – Governor Robert Bentley proclaimed October 7 as Manufacturing Day for the State of Alabama in a signing ceremony at the request of the Business Council of Alabama (BCA) and the National Association of Manufactures. 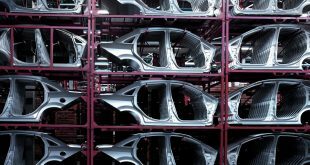 “Manufacturing in the United States is leading an innovation revolution. 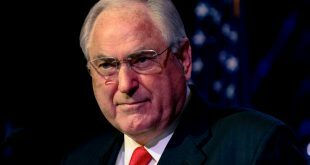 More and more, it’s high-skilled and high-tech, and Alabama is on the cutting edge helping lead the way,” said Jay Timmons, president and CEO of the National Association of Manufacturers. The Business Council of Alabama (BCA) is Alabama’s foremost voice for Business. 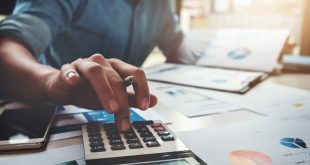 The BCA is a statewide business association representing the interests and concerns of nearly 1 million working Alabamians. 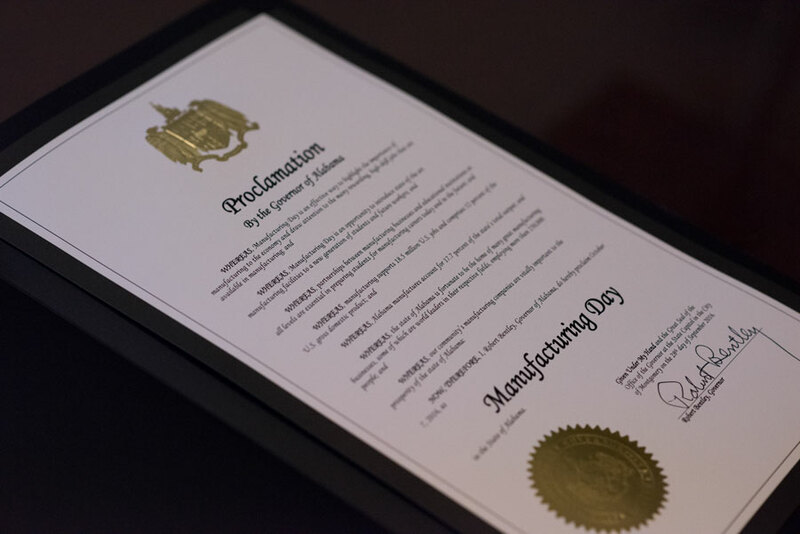 Designating this day in Alabama for manufacturing serves to highlight the importance of manufacturing and the significant impact it has on our economy and workforce. 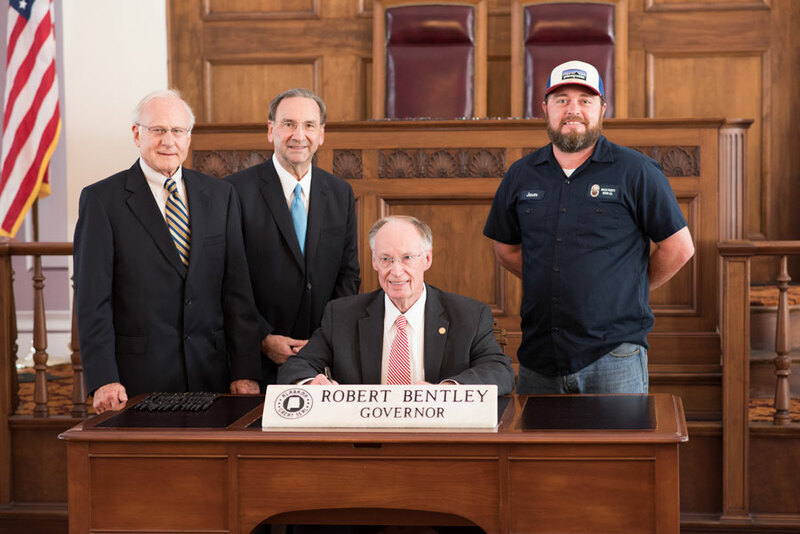 The signing ceremony took place in the Old House Chamber of the Alabama State Capitol and was attended by Canary and BCA Board Members and Chairman of BCA’s Manufacturing Advocacy Council Ronnie Boles of General & Automotive Machine Shop and BCA Board Member Jason Wilson of Back Forty Beer Company in Gadsden.